Lords of the Manor looks stunning dressed for Christmas in the Cotswolds with roaring log fires adorned with garlands of greenery and tall, sparkling Christmas trees decorating the elegant reception rooms. So why not join us throughout December for a celebratory lunch or dinner with family, friends or colleagues? Located in glorious Cotswolds countryside but only 25 minutes from Cheltenham, our Cotswold hotel is the perfect place to get into the Christmas spirit and just a little bit special. Our award-winning Chef Team have delicately prepared a stunning lunch and dinner menu based on the highest quality seasonal produce. Available from 1st-23rd December, don’t miss out on our Michelin Starred Festive Menu. Whether you join us for lunch or dinner, you could be enjoying such delights as ‘Citrus Cured Salmon with Beetroot and Horseradish’; ‘Fillet and Belly of Pork with Pear, Winter Greens & Pork Jus’; and ‘Chocolate Tart with Bitter Orange Sorbet’. As if all of that isn’t enough, if your merry band of feasters is of six or more, you will receive a complimentary jug of mulled wine! So what are you waiting for? You really cannot argue with Michelin starred Cotswolds fine dining from just £37.00 per person! 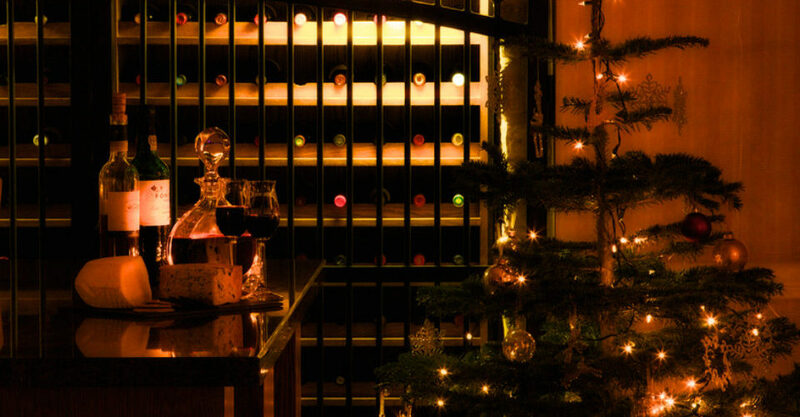 For more information on Lords of the Manor’s scrumptious festive dining, visit our Festive page. To book, call us today on 01451 820 243 or e-mail events@lordsofthemanor.com and add some sparkle to the festive season!